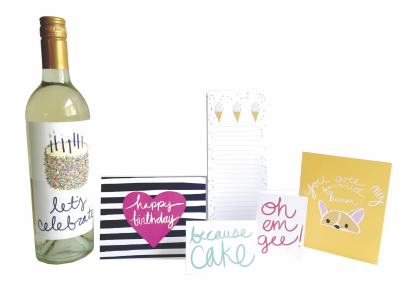 Sweet Domino Designs is a paper-goods company founded by Emily Butera. A Philadelphia native, she has been making cards for family and friends all her life. The name for Sweet Domino comes from Emily’s adorable pet rat, Domino. She never thought she’d own a rat (let alone call one adorable) until a friend needed a home for her. She is the inspiration for the quirky, cute, and delightful designs. I had a great time at the National Stationery Show! I am excited about all my paper friends new and old and grateful for my friends and family that worked tirelessly to help me get to this point. Thanks to everyone who stopped by to say hello!